Pennsylvania Licensees: This course is NOT approved by the PA DHS to meet the state child abuse requirement. Perform appropriate medical evaluations of suspected abuse cases. Obtain an appropriate history in suspected child abuse cases. Communicate effectively with investigative services. Document abuse accurately in the medical record. Apply recent clinical advances to cases of suspected child abuse. 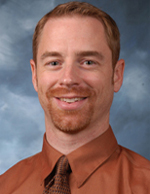 James D. Anderst, MD is Assistant Professor of Pediatrics at the University of Missouri-Kansas City School of Medicine. He is a board certified Child Abuse Pediatrician, and section chief of the Section on Child Abuse and Neglect at Children's Mercy Hospital in Kansas City, MO. Dr. Anderst has published numerous research articles focusing on improving child abuse detection, and he is actively engaged in researching child abuse educational programs. Disclosure: Dr. Anderst states that he does not have any financial arrangements that could constitute a conflict of interest. As this class is made available for teacher certification, it would be helpful to identify children in situations not related to clinical reporting. Love the complete references. Very helpful and comprehensive. This was more of a doctoral practice how-to versus a teacher being in education and the information being applicable. Well done and very helpful. In addition to one of our child abuse courses, you must also complete a patient case in the VLH.com course, "Current Management of Domestic Violence - Responding to IPV," in order to meet the "recognition of domestic violence" portion of the mandated training requirement. These programs also include required information about Delaware's reporting requirements. This program also requires that you have the latest free Flash Player. IMPORTANT for iPad Users: Please download and use the Free Puffin Browser from the app store if you want to complete this course on an iPad.